Adventurous lifestyles call for gear that can handle everything you throw at it and then some. For those who want to push limits, there are products like the Ward Sunglasses from Native Eyewear. Named after the classic Colorado climb, the Ward polarized sunglasses feature some of the toughest parts and clearest lenses that you can get in polarized eye wear. Conquer the elements and look good while doing it with these sunglasses from Native Eyewear. Native Eyewear’s sunglass design is perfect for anyone who lives life on the edge. Competitive sports, hiking, camping and hunting or fishing can take a toll on your body, especially your eyes, but these polarized glasses keep your eyes clear. The glasses have a high polarization efficiency film that helps reduce eye fatigue and brings greater color to your vision. 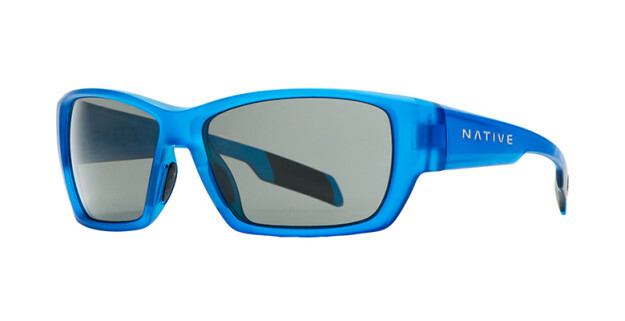 The N3 lenses of the Native Eyewear Ward Polarized sunglasses is one of the most innovative lenses available. They block up to 4X more infrared light than normal polarized lenses and provide UV protection up to 400nm. You’ll see more detail (and more fish in the water) than ever with these glasses. Not only are the lenses amazing, but the frames of the Ward Polarized Sunglasses are insanely comfortable and can handle high impact collisions and extreme temperatures. The frames are built from a castor based resin which is friendlier to the environment and stronger than other alternatives. There are even vents that enhance airflow and reduce fog so you won’t be blind during an activity. Above all, you can wear them all day and not even notice that they’re there. Check out the cool new styles of the 2016 Native Eyewear Polarized Sunglasses Collection on their website. You can purchase the Ward Polarized Sunglasses for $129 here or on Amazon.com. Don’t miss out on the best outdoor gear reviews on MorningMoss.